When it comes to adopting food trends from Asia, Los Angeles is usually one of the first experimental playgrounds. 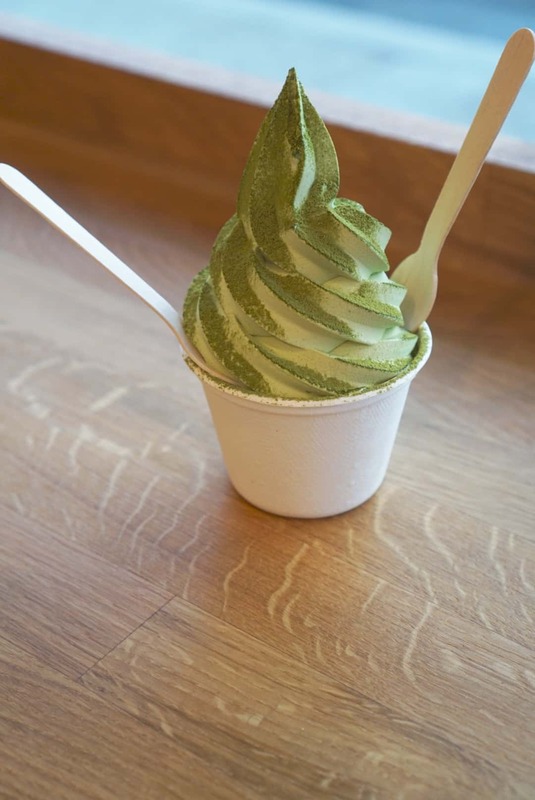 From Korean BBQ to the milk soft serve craze, the latest trend to sweep LA is matcha green tea. No longer is it buried in the menu of a boba tea shop, this emerald colored goodness is now ready to take center stage and often in the form of ice cream. After all, who doesn’t love ice cream? 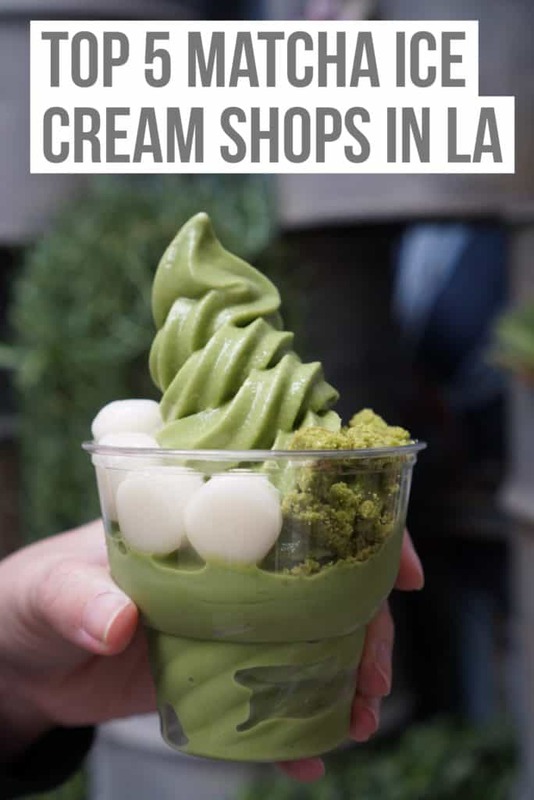 Female Foodie takes you through the top 5 matcha ice cream shops in Los Angeles, watch out for brain freeze! This latest addition to Little Tokyo in Downtown LA is already making a lot of buzz. Midori Matcha Cafe made its introduction with their bottled matcha cold brew. Now that they have opened a physical store, fans of their original product are flocking to see their new offerings. While they also offer drinks and pastries, the soft serve is certainly the attention grabber. Available in a cup or cone, Midori aims to keep the flavor pure for now without added toppings or swirls. 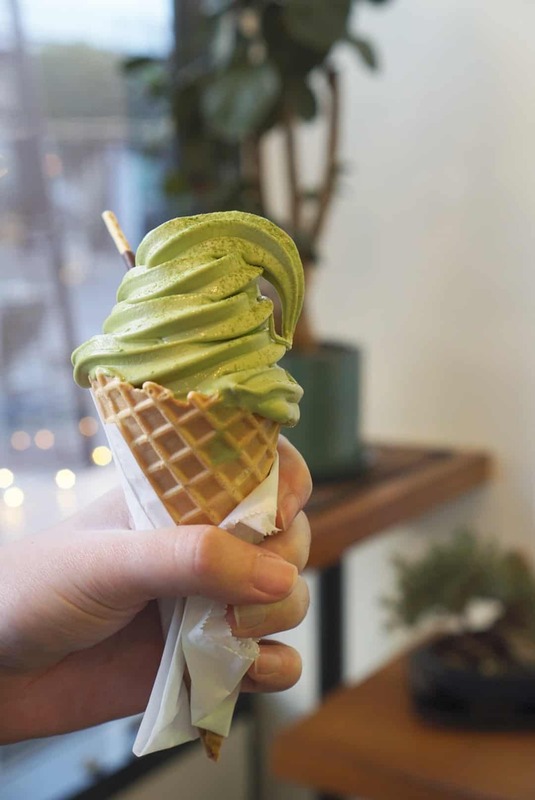 Tea Master Matcha Cafe is probably the most underrated shop on this list of spots for matcha ice cream in Los Angeles. What it lacks in social media marketing and online fandom, it certainly makes up for in flavor. This humble shop’s main mission is to educate consumers about the customs of matcha and it offers a wide selection of tea for purchase. 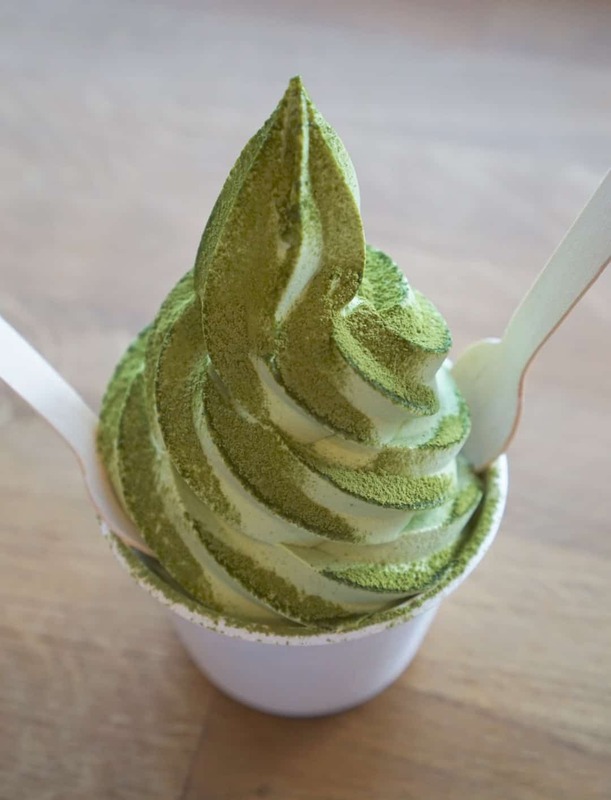 The little known secret is of course their matcha soft serve with powdered matcha on top. The fluffy texture is truly hard to beat! 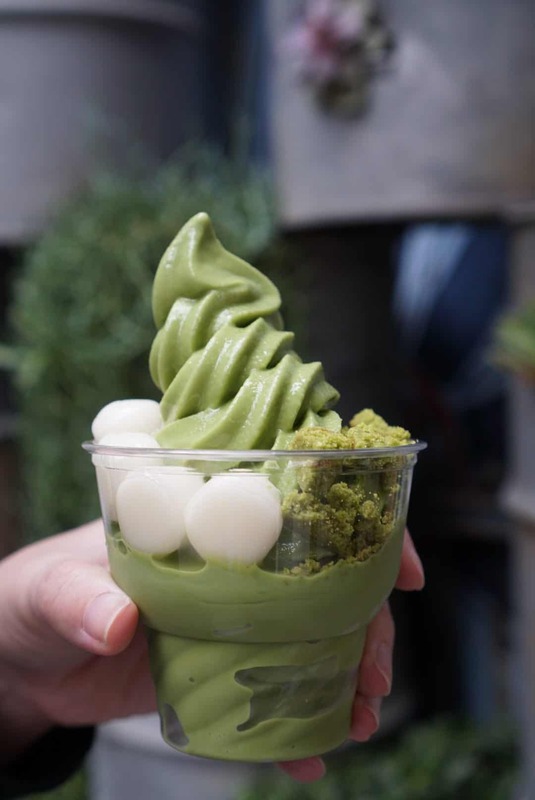 While Matcha Matcha may literally just be a tiny foodcourt window on the second floor of Santa Anita mall termed Food Alley, it’s matcha soft serve certainly packs a big punch. Whether you stick with the pure matcha flavor or swirl it with black sesame, every spoonful will sure to be filled with green tea goodness. 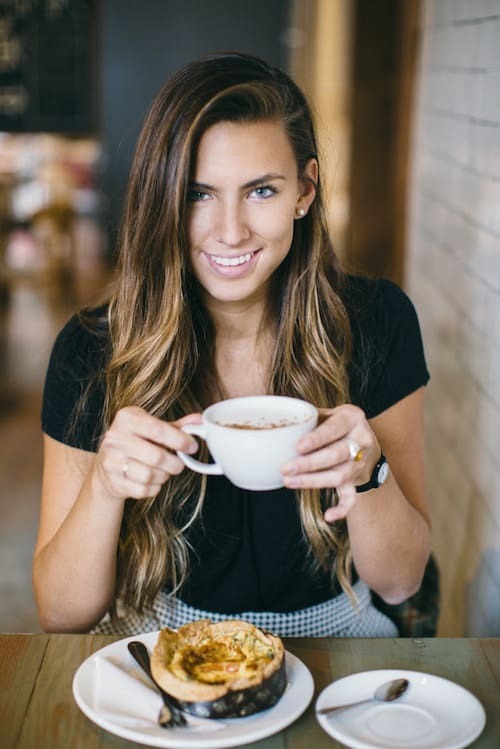 They offer a wide variety of toppings as well as matcha drinks and pastries. Not to mention, every order gets a “thank you very matcha.” Make sure you take a matcha ice cream break during your next mall trip! Venice just got its resident matcha expert. 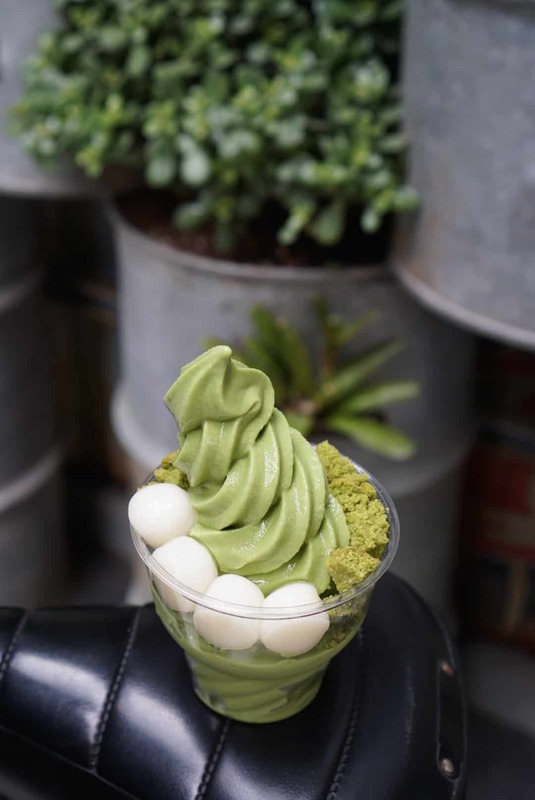 Shuhari Matcha Cafe aims to combine the eastern tradition of matcha with western flavors. 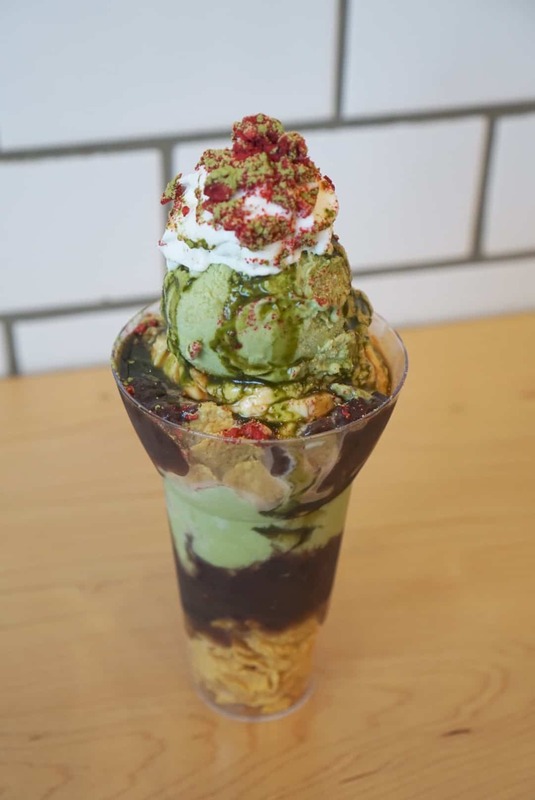 This Los Angeles cafe serves everything from sandwiches, pastries and drinks infused with matcha but its’ wide selection of ice cream is what steals the show. 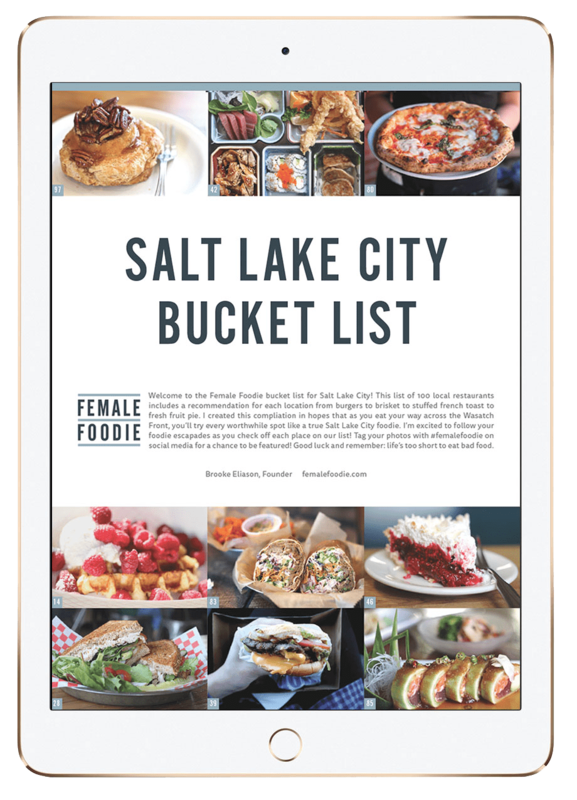 With toppings ranging from sweet to crunchy, it is sure to satisfy any sweet tooth craving without being over the top. 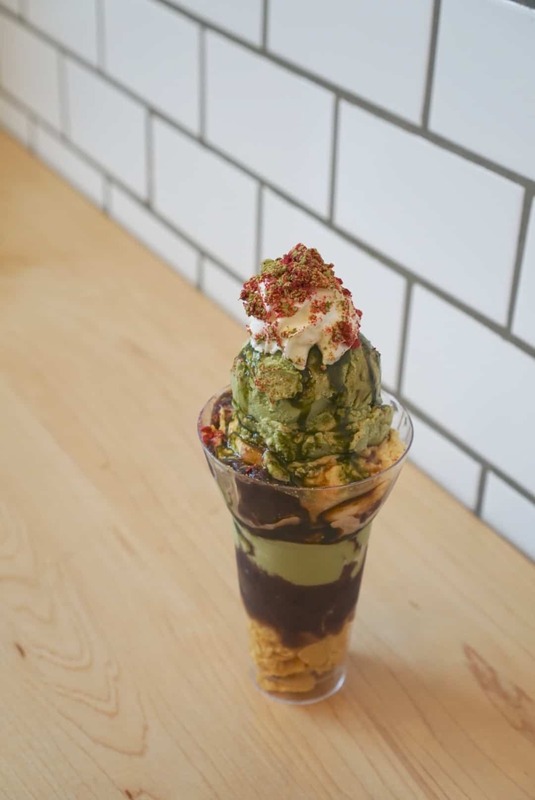 Located in the heart of Koreatown, this modest little shop focuses on perfecting the matcha soft serve. You can get matcha on its own or in a milk swirl. 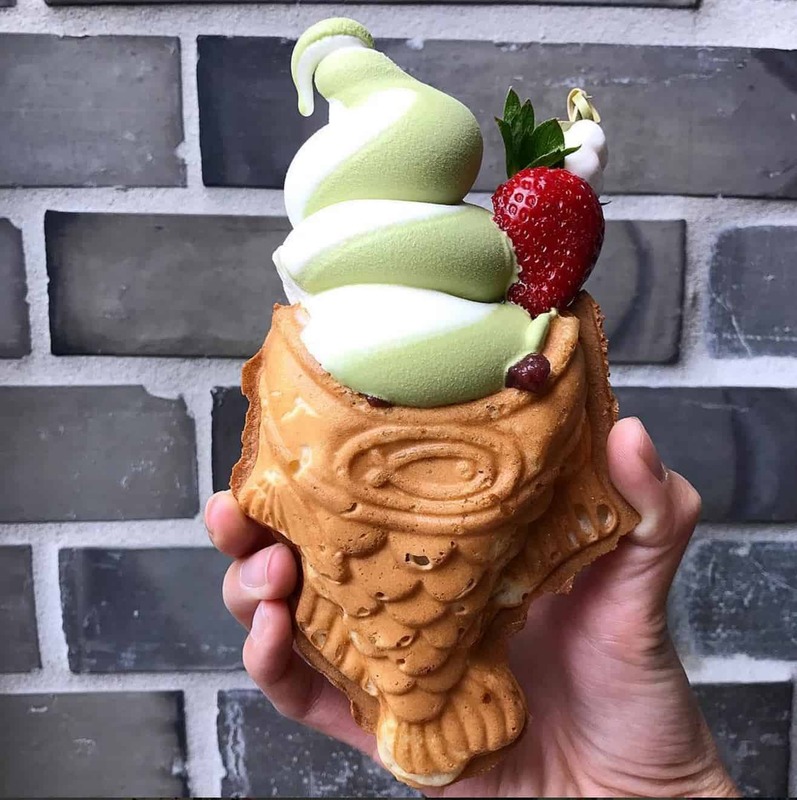 Each “cone” is expertly put together by placing the soft serve on a mochi fish shell called taiyaki filled with your choice of nutella, custard or red bean. The chewy texture of the teriyaki and the sweetness of the filling is perfectly balanced by the subtle flavors of the matcha ice cream. Definitely a Los Angeles must try! Did you like this post? 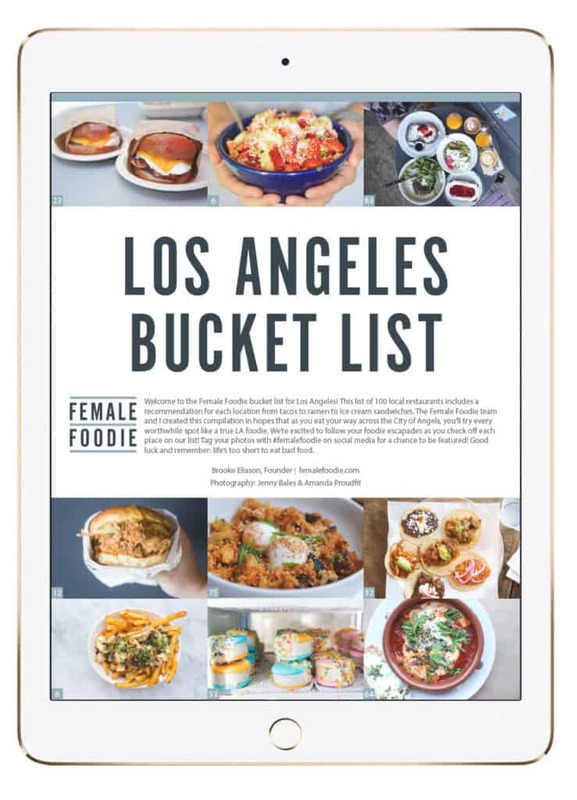 Make sure to check out our FREE bucket list of 100 LA restaurants!